You might be able to shred it on the guitar, or mix up a storm on the decks, but without decent music editing software you'll never get your demo out to those who need to hear it. With that in mind we check out MAGIX Music Maker Premium software. 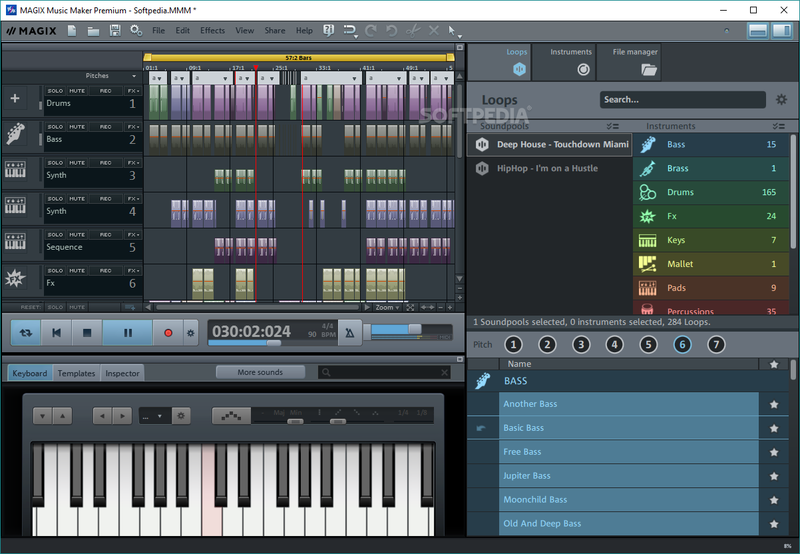 The first thing that struck us about Music Maker Premium was that it wasn't a complete blank canvas – or indeed whatever the musical equivalent of canvas is. As well as being a studio into which you can port your physically recorded sounds and compositions, there is also lot to play around with straight away. Samples for beats, bass lines, special effects, synths, strings... you name it, it has it. There are 8000 to choose from, and you can download extra packages of loops from the MAGIX website. 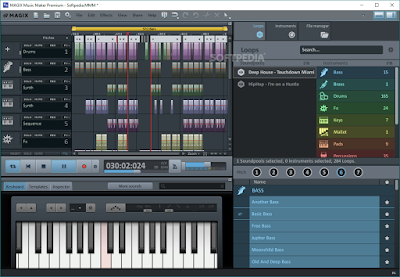 The user interface is also nicely laid out whereby these samples can simply be dragged to the main workflow window, which is naturally split up into beat intervals to keep everything well timed. A seemingly infinite number of rows can be dropped onto the workflow area, to layer up sounds and fade between different tracks. It's all so very fluid and makes sense – even to a music editing novice. That ease of use, and the fact that all those samples are included in the initial download, means that if you're a YouTuber or film maker who needs a quick beat or backing track to add atmosphere to your creations, this is great. Simply adding one of the beat samples to anything can add a nice bit of sound scape, and considering that this is a lot cheaper than much of the competition, you could be onto a winner. 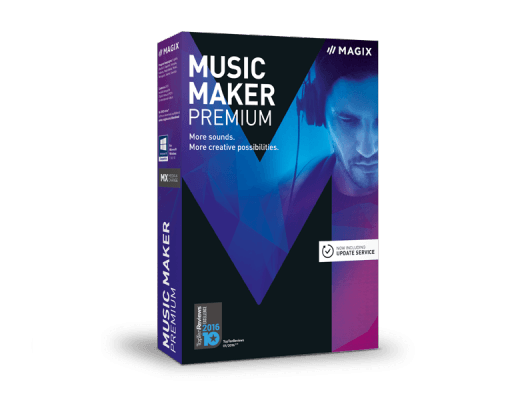 However, if you are a pro musician – or hoping to be one soon – the MAGIX Music Maker Premium offers enough in the way of customisation and tweaking to help you perfect that track. The pitch and tone of any imported sounds can be played around with, while vocals can be enhanced, neatened, and tuned. We're not musicians, not will we ever be (seriously, imagine a bucket full of dead fish rolling down a hill – that's what we sound like on any instrument), but as we start to populate our YouTube channel with stand-alone reviews, we're sure that MAGIX Music Maker Premium will be our go-to music editing software. Check it out.